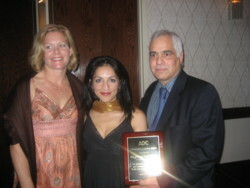 The Philadelphia chapter of the Arab-American Anti-Discrimination Committee honored Playgrounds for Palestine at its 25th anniversary banquet on April 28, 2007 at the Renaissance Hotel Philadelphia Airport. Mr Naim Ayoub and Mr Abed Awad, Esq. 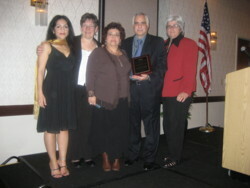 were also awarded for their community activism. The Syrian Ambassador to the United States, H.E. Dr Imad Moustapha delivered the keynote address followed by a fun evening of dabkeh and music.